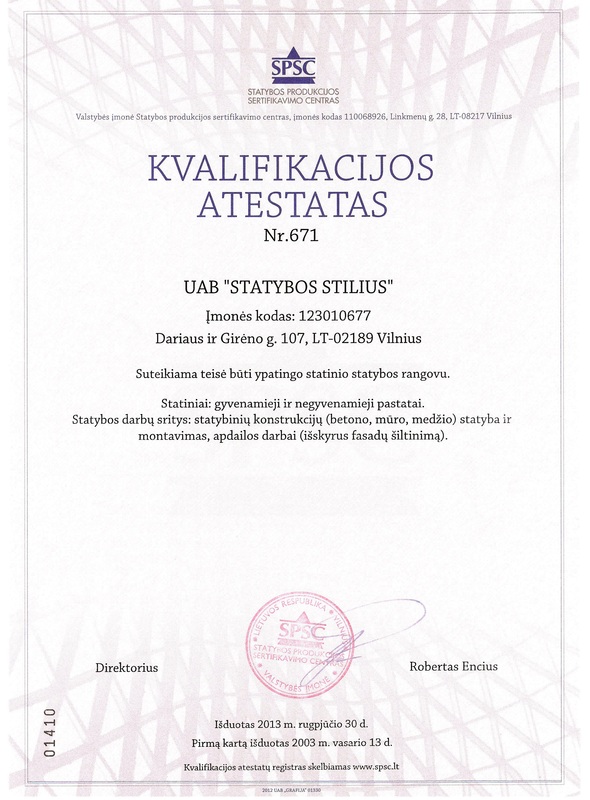 UAB “Statybos stilius” is a construction company, that’s successfully operating on the Lithuanian market since 1995. It‘s activities include both general and specialized construction works. The company has been issued a qualification sertificate granting the right to carry out construction work, repairs and finishing work in residential and non-residential construction cites of special importance. The main activity of the company is the construction and installation of private housing. We also build and reconstruct various public, industrial, commercial, administrative buildings and other objects. Architectural and construction knowledge, flexibility and willingness to work together – the best UAB “Statybos stilius” can offer to the customer. The accumulated experience and innovation enables the company to successfully implement both simple and complex designers ideas. 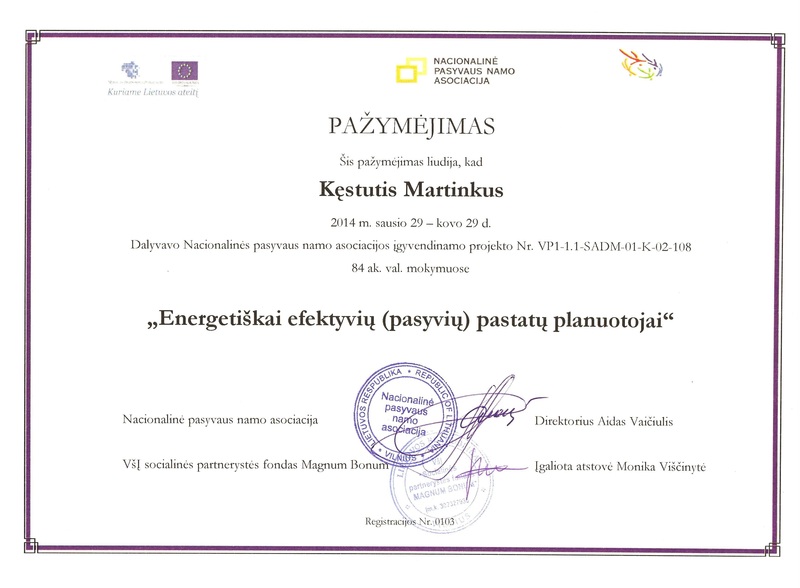 UAB “Statybos stilius” – quality work, timely and rational solutions, optimal and effective proposals. The company employs 3 administrative personnel, 3 supervisors, 1 supply manager and 22 builders. We strive to carry out our work and services with high quality. Constantly improving and expanding our competence. We always seek the best results. The companies welfare depends on the work that each and every one of us puts in, on the decision making, services provided and the implementation of out customers ideas. Therefore, we responsibly perform our daily activities, and strive for the best results of the company. Our business model is teamwork. This way we achieve our goals easier, faster, more efficiently. We respond to the market changes, resolving problems while constantly looking for the best and most effective solutions and new opportunities. To be the most reliable and quality-oriented construction company. Providing customers with professional services, high quality and rapid implementation of construction projects.